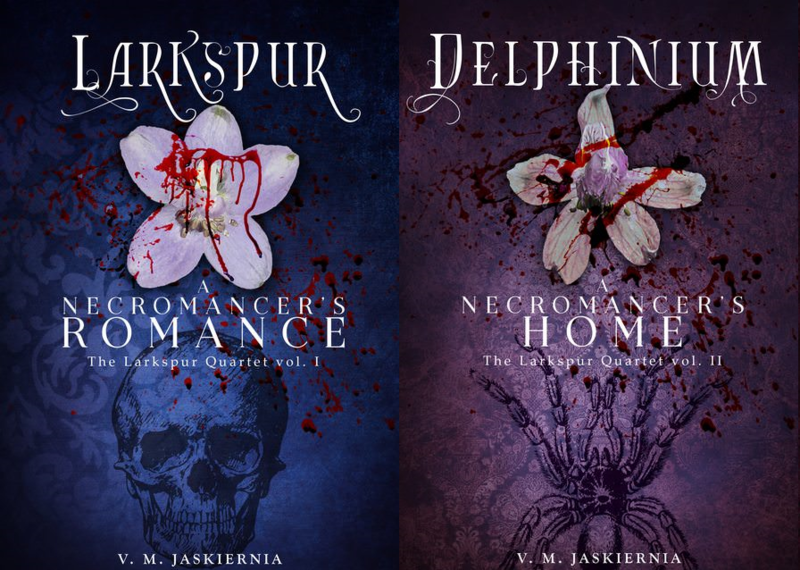 Like I mentioned last time, lots more politics and magic in Delphinium. I almost feel bad calling it romance since there is so much stuff going on- Pierre and Lizzy can’t catch a moment to themselves. Side characters have more screen time too. We get to meet Piers, Lizzy’s brother, and his wife Eglė. Wolfram finds out how dark necrocræft can be too, and we see that the people of Piques really aren’t all that happy about Pierre’s return. It seems that being close to Faery only makes them distrust the fée more than other lands. Scene time! Pierre’s checking over the hospitals in the city and something odd comes up. There was a black marker on the doorframe to one patient’s room. Weeping was heard even through the closed door. “What is that?” Pierre asked. He assumed it was a terminal patient, but to announce that to everyone? “I will pay for it,” Pierre said without hesitation. He walked over before more could be said and opened the door. The mother looked up to him with wide eyes, so grateful that the words were not needed.